5 things to consider during new program construction. If you work in the contact center industry then you’re probably familiar with the trend to move agents home to work, otherwise known as onshoring. But is it right for you? And if so, where would you start? Despite the irony that an at-home call center is essentially virtual, the process for planning your at-home operation is much like building a house. In this article, I will provide a basic blueprint of an at-home model and highlight the important factors to consider as you begin your onshoring transition. Armed with the necessary blueprints, you will soon be ready to build your at-home program with a solid frame and foundation. The construction metaphor is purely figurative, but consider this analogy: Your current house desperately needs updates, and is in the wrong neighborhood to boot. You learn you have the opportunity to move to a new construction house in a convenient location with much higher home value, not to mention how much your utility bills will drop when you build with sustainable materials. You can think of your at-home program in a similar way. Contact center leaders are continually being pushed to do more with less. Achieve better results with a smaller budget; increase market share faster than the competition. Sound familiar? Well, at-home employees are far more cost-effective than brick-and-mortar employees because you no longer have the overhead costs associated with maintaining a physical location. There are other cost savings as well, most notably, employee retention. According to a recent study by Forrester, 92% of millennials prefer the flexibility to work from home over office environments. Turnover rates among at-home agents can be 30% to 50% lower than similar positions in brick-and-mortar centers. There are many components to understand before you set up an at-home program, and while this is not an all-inclusive list, the following are five basic elements to consider. Does your technology support at-home employees? Over the last decade, cloud-based technology advancements have made the work-at-home model far easier than in the past. Agents can simply log in from their homes and instantly connect to the phone system, CRM, learning management system, knowledgebase and a host of other systems needed to complete their responsibilities. First and foremost, you need technology that is secure and specifically designed for at-home agents. The following companies are leaders in cloud-based home agent platforms: Interactive Intelligence, CorvisaCloud, Five9, 8X8, InContact and ShoreTel Sky. There are a variety of on-premise solutions that can also accommodate at-home workers, but due to cost, I usually recommend a cloud-based platform to start. Who provides the technology to the employees? There really isn’t a right or wrong answer to this question. What you provide is a decision that needs to be made on a case-by-case basis and determined jointly by your human resources, contact center and compliance/legal staff. Decide if you will provide the computer, phone, headset, desk, chair or any other items employees will need to work. Some companies provide everything, while others require the employee to attain their own equipment. Recruiting top talent has become an increasingly difficult task for contact centers over the years. The momentum of the economy and lower rates of unemployment have made the market more competitive than it has been in nearly 10 years. Despite that challenge, one of the biggest benefits of an at-home workforce is the ability to attract talent without geographical limitations. When you operate from a brick-and-mortar center, employees are typically commuting from within a 10-mile radius. By moving agents home, you have the opportunity to attract talent that would have been otherwise out of reach. Suddenly companies are finding themselves able to increase their candidate pool to recruit from areas with higher unemployment rates and a more stable, educated workforce. The increased footprint of your recruiting radius, along with the opportunity to bring on higher caliber agents, allows you to provide a higher level of service to your customers; just another way the at-home model facilitates easier achievement of your service and customer satisfaction goals. Although the candidate pool is bigger, the at-home model adds one additional layer of complexity: hiring managers must determine whether or not a candidate can thrive in a work-from-home environment. Many call center agents are social beings who thrive in group environments. If you take away their “work friends,” they could become disengaged. For this reason, it is important to clearly emphasize the work-from-home language in your recruiting campaign so that you attract the right individuals. There are great assessments on the market that can help determine if an agent will thrive at home. In addition, some of your behavioral interview questions should be geared toward the isolation of working independently, without face-to-face social interaction with co-workers. Later in the article, we will discuss how you can create a “community” for your agents to maintain healthy employee engagement and decrease feelings of isolation. Training at-home employees in a virtual environment has become much easier with the use of technology designed for remote employees, but not every company can or should conduct their training virtually. First, you need to assess how much “hands-on” training is required. Next, determine the training model that best suits your needs. There are two major training models for at-home employees. Utilizing hub-and-spoke training, new employees come to your facility to complete classroom training and begin in a nesting environment. Once employees are comfortable, they move home. This model is ideal when you have topics that must be taught through a hands-on approach, allowing for the actual handling of company products. This model is also a good start for companies that are hesitant to transition exclusively to virtual training. Remember, however, that unless you offer reimbursement for travel and hotel costs, requiring new employees to come to your facility for training will reduce the geographic benefit of the at-home appeal. Your virtual training platform can be as simple as a program like WebEx or GoToMeeting, or as complex as an integrated learning management system with training modules. There are many training platforms that have exceptional pricing and functionality; Saba and Blackboard, for example. Virtual training essentially allows you to recruit talent from anywhere in the world and train them equally. Imagine being able to reach markets where companies are doing layoffs and offering those people exceptional jobs at your company—all with limited investment. How can you be sure they are working? Most at-home technology platforms provide a comprehensive supervisor dashboard that allows managers to monitor agents in real time. They can see who is on a call, who is available and who is abusing the privilege of working from home. The only real difference between working from a brick-and-mortar model and an at-home model is the ability to meet face to face with your agents. However, Skype, FaceTime and Tango offer virtually free video phone calls, and some contact center platforms even have video calling features that can be utilized to see your employees when you meet with them. What about risk? If the employee falls down the stairs while going to the kitchen to get lunch, who is responsible? If the employee is working with credit cards and another resident of the house peers over her shoulder to peek at the credit card number, how can that be managed? When setting up an at-home employee, I create an employment agreement that clearly defines the following: the job responsibilities, the hours they will work, the approved workspace in their home and the technical requirements of the position. By requiring that they clearly define their work hours and workspace—including a photo—the employee’s ability to claim workers’ compensation for injuries sustained during non-work hours, or outside the designated workspace, can be diminished. Work with your attorney to draft an agreement that will adequately protect your organization. Earlier I touched on the challenge associated with attracting the right type of candidate for an at-home position. There is a strange paradox here in that a candidate must be socially outgoing in order to thrive in a contact center role, yet must simultaneously enjoy working independently without feeling isolated. Forming a social landscape for the at-home workforce can help cultivate stronger bonds among your employees and ultimately increase retention and employee satisfaction. Create an intranet for your agents to chat and share ideas: provide Microsoft Lync or another social chatting feature to encourage solution-sharing and relationship-building among at-home employees. There are also social video rooms where employees can log into a virtual room to socialize in between calls. It is important, of course, to manage these chat features to ensure that socialization is secondary to customer needs. While you may be forgoing the traditional brick-and-mortar call center for a virtual one, the necessary steps to build a new infrastructure still resemble that of a construction site. 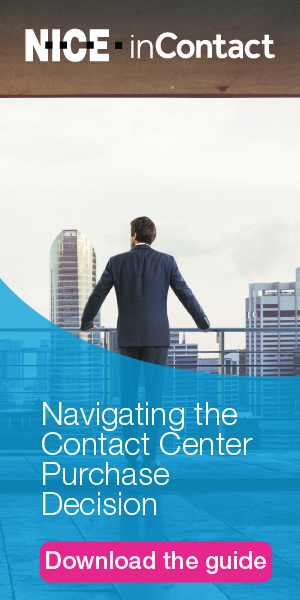 Whether you are interested in moving your contact center back onshore, or simply transitioning to an at-home model, in order to be successful you need a blueprint for how to manage each component above. When you ensure that you have the processes, policies and technology in place for a thriving at-home call center, you will experience firsthand the return on investment so many companies are enjoying. Author’s note: For more information or samples of employee agreements and policies, please contact me at eberg@dohertyathome.com.